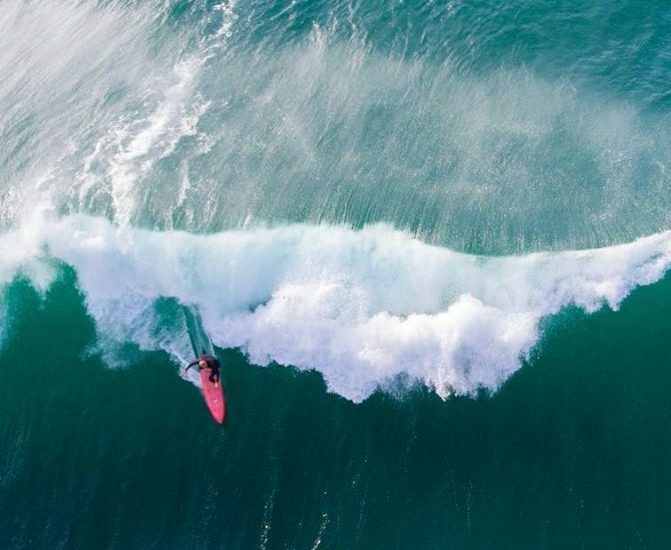 One week after Big Wednesday, Jan. 8, 2018, when Redondo Breakwall surfers Derek Levy and Randy Meistrell caught a “once in a decade” swell, with 30 foot faces, a second “once in a decade swell” came through. Redondo Breakwall surfer Chris Rodriguez planned to go by boat from King Harbor to surf Indicator in Palos Verdes last Wednesday morning. He had a new, 7-foot-6 Pat Ryan board he wanted to test in big waves and the Breakwater didn’t look big. 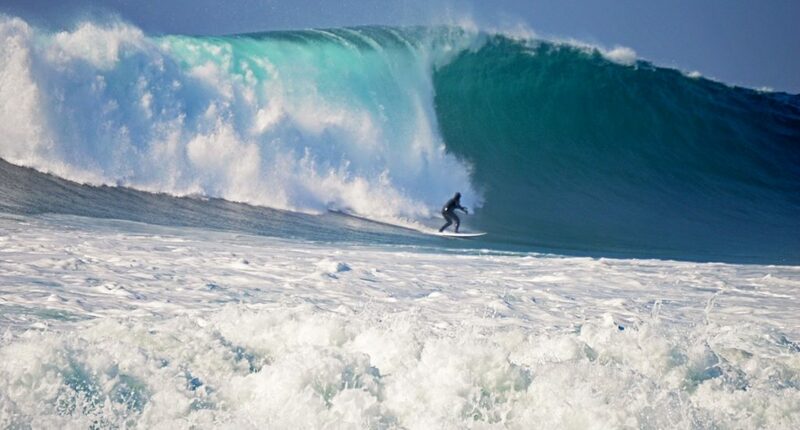 A solid northwest swell lit up South Bay beaches over the weekend. 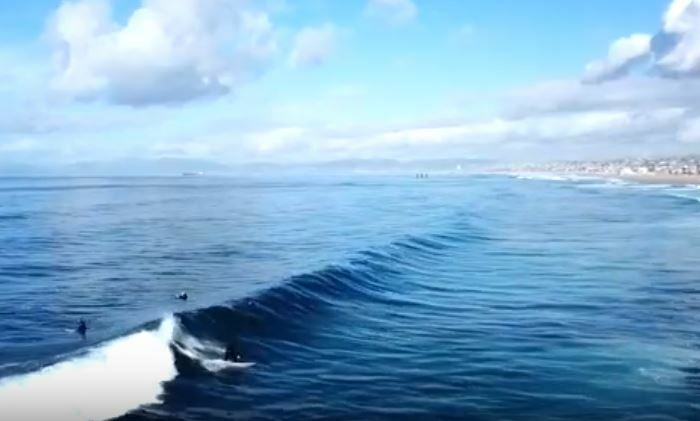 Videographer Marci Klein captured Sunday’s surf at the Redondo Beach Breakwall, from the beach and the air.